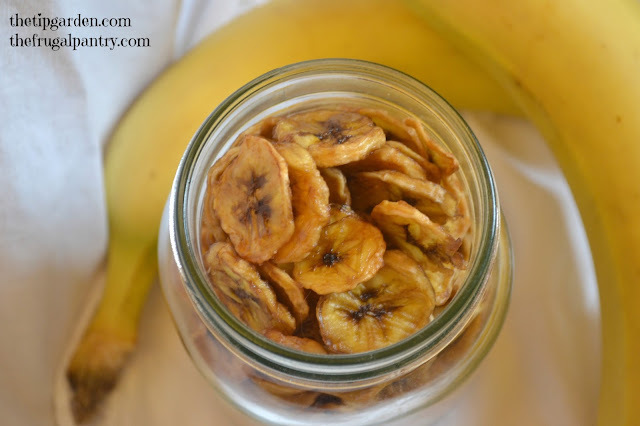 Question: How are the store bought so crispy and sweet, and my homemade are a little chewy and taste like fresh banana? 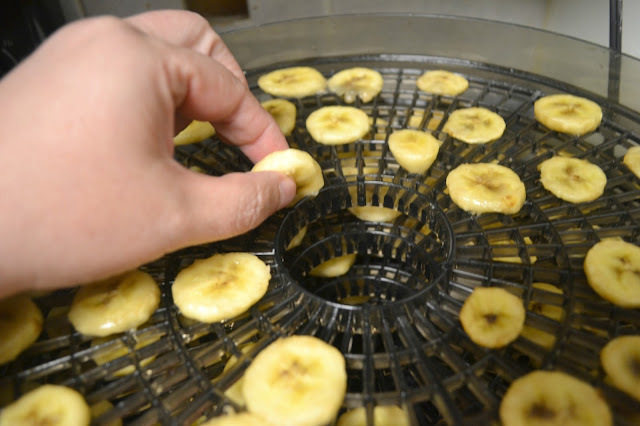 Answer: Commercially prepared banana chips are usually deep fried in oil (mainly coconut) and even dipped in a sugar syrup. Yes, you read that correctly! Not as healthy as it seemed huh? 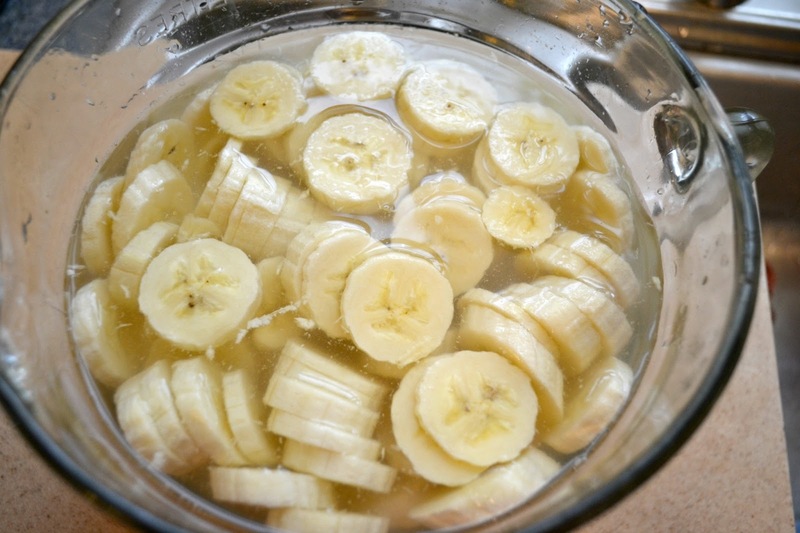 Your homemade chips will more than likely be a little bit chewy and never attain that perfect crispness you may be used to from the store bought., BUT they will taste like fresh banana and not a piece of candy! I try to find you sources of actual information when possible and not just other bloggers who say they heard it somewhere. 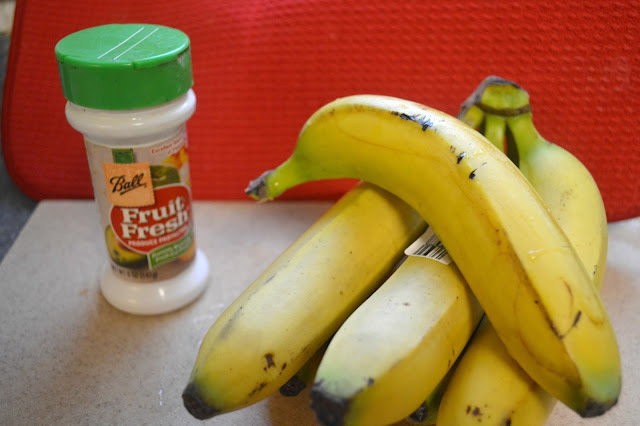 The deep fried secret and sugar syrup dip is all over the internet but the closest thing to a reliable source I could find is pm webmd: http://www.webmd.com/food-recipes/features/not-so-healthy-health-foods Its' near the bottom of the article. Question: Do I have to dip my slices in lemon juice or fruit fresh? Answer: Not necessarily. It is only to keep the color from turning brown. It's purely a cosmetic thing and a personal choice. 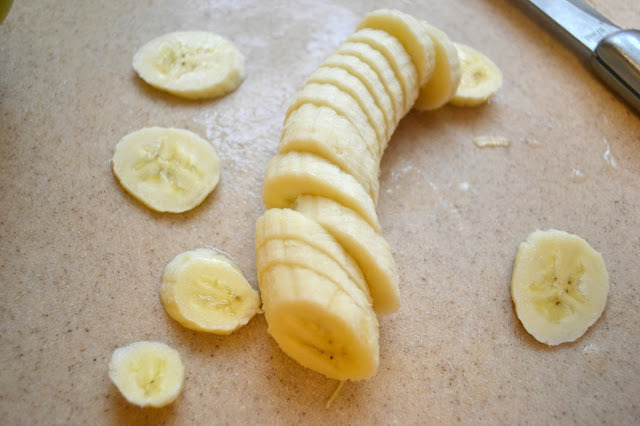 Remove banana slices from the soak and drain on a paper towel. 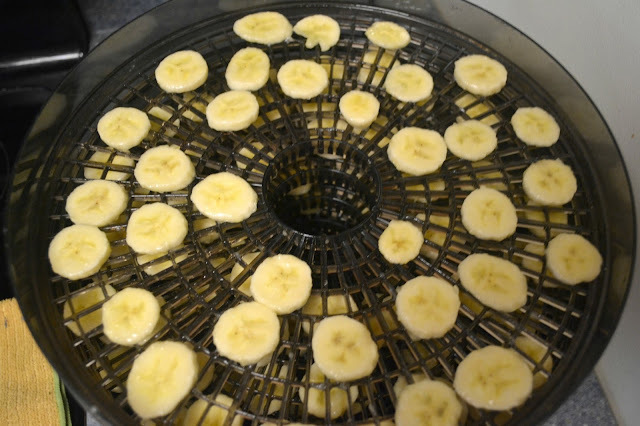 Lay slices on drying trays. Allow enough space for air to flow around each slice. Continue drying for another 4-6 hours. 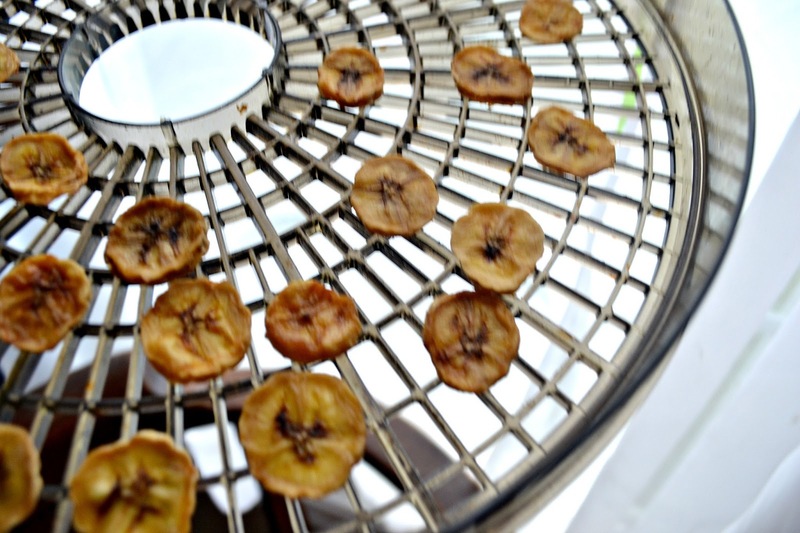 You will know they chips are done when they are not sticky or tacky and are usually still pliable. Cool chips completely before packaging. Store in air tight container. Usually good for up to a year, but long term storage is better in the freezer.